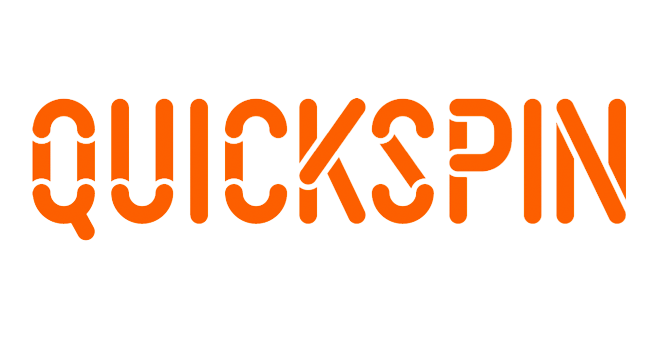 Quickspin is a relatively new casino software provider that specialises in slot games as evidenced by their slogan of “We love slots!”. Rather than putting the needs of the operators at the forefront of their business. Quickspin instead puts the actual players first, something that doesn’t often happen in this business. The company offers a very unique take on their games. Ensuring that all of their slots are fun but also fair. However, the mathematics behind the slots they offer leads to rather streaky games instead of being set in high or low variance options. This just means you have to play for longer to walk away richer. Quickspin is a Swedish company that was established in 2011. The main team is comprised of a dedicated group of professionals who each have a lot of experience in the industry. To this end, each of the games is unique, with no self-copying and with a tendency to push towards innovative techniques. Much of this pioneering attitude has been found in the area of Player Retention. This has been successfully achieved through their Achievements Engine, which has a number of different levelled rewards keeping players interested. This exciting set of promotional tools was actually released in 2016 at around the same time that Playtech acquired the company. This was an unsurprising move as the company had been making itself very well-known. Winning more than a few accolades in the process. We’ll outline those a little later. Due to their dedication to what they offer, Quickspin has a relatively small portfolio with just 40 or so slot games to their name. Happily though, most of these are now available for mobile play. And there are due to be another twelve slots released throughout this current year. At the moment they offer only slot games, but seeing as these are so outstanding, we’re really not about to complain. Quickspin slot games are some of the best around. As we touched upon earlier, they each have a signature look with exciting bonus features located within. Even better, their slots are all adapted to a number of different languages . 27 to be exact, ensuring that players from all around the world can join the fun. They also support a wide range of currencies for an optimal playing experience. Their bubbly, quirky, slightly cartoony slots are loved by many, but it does come down to taste so there are a few disgruntled players out there. However, we’re still hard-pressed to find someone who doesn’t like at least one Quickspin slot. There are a number of very popular slots from Quickspin including Spinions, Goldilocks and the Three Bears, Sakura’s Quest and Wins of Fortune. However, it is Big Bad Wolf that is probably the best known of them all as it offers a fun take on that famous piggy tale. At the end of the day though, regardless of a player’s personal taste. There is no doubt that these slots are well thought through and offer excellent gaming experiences. It’s quality over quantity at its best, though don’t come here looking for anything other than slots, as you’ll only be met with disappointment. We should mention once again here, that one of the biggest elements in Quickspin’s favour is the fact that they cater to what the player wants. The aforementioned Achievements Engine is the first of its kind and gives players tokens for playing their favourite games. These can be used to buy the bonus game and are available to use across all Quickspin games, regardless of which game they were earned in. The aim is for this to be implemented across all of their slots. Though this hasn’t entirely occurred simply because some slots don’t have bonus games. And others are still making the transition from Flash to HTML formatting. is aimed towards the operator rather than the player. This feature allows the operator to set up small tournaments, prize pools and more. All of which is aimed at improving the players’ experience. There have been concerns raised about how much this feature can be manipulated. And whether the contests will actually be fair, especially as this is an Instant bonus function. However, Quickspin does have a lot of measures in place to prevent that, which you can read more about below. Quickspin has been noticed by its competitors and those within the industry as a talent to watch. This is evidenced by the already long list of accolades that the company has garnered. In fact, it has acquired quite a large number of rewards even though it’s only been around for a short while. The recognition for this company has occurred at numerous high profile events. Including the EGR B2B Awards, Technology Fast 50, Di Gasell, HIT Bolagen and more. These wins have come in the last few years as they make a name for themselves. And we’re sure they’ll win a lot more in the future. Some of the best awards were for innovation and include being the best innovators in RNG Casino Software, Mobile Gaming and Slot Provision. The other awards Quickspin has won include Best Mobile Gaming Software, Social Gaming Supplier of the Year and of course, Best Slot Provider. They have even won Game of the Year for the Big Bad Wolf game. And awards for their Mobile Gaming, Social Gaming and being a Rising Star in the industry. All of these awards are well deserved as what started as a very small team has now grown into a company and force to be reckoned with. When it comes to providing a safe playing environment for players, Quickspin is right up there with the best of them. They have a very strong set of licensing agreements, which enables them to offer their games to almost every country in the world. Their two biggest licenses come from the very impressive UK Gambling Commission but also from Alderney. Having these licenses means that the company needs to abide by strict rules. And regulations when it comes to their games, meaning that players can rest assured that they are in safe hands. And unlikely to be cheated when playing. One of the important things is fair gaming, and as we mentioned, Quickspin does have a comprehensive mathematical series of equations in place. There may be concerns regarding those Achievement bonuses and if things can be manipulated but so far everything appears to be running smoothly. Quickspin also takes responsible play into consideration and is a donor to the Responsible Gambling Trust. As well as ensuring that their games come with additional features such as reality checks, a dis play of how much a player has won or lost. Visible clocks to keep track of time, and a self-exclusion option for those players that think they’re playing too much. Quickspin is an exciting new company that can only grow from here. Fully stocked with a range of slots, the only complaint is that there aren’t enough! Another niggle is that most of them aren’t really high variance, so there are no truly big wins to be had. Instead, players will have to spend a bit of time if they wish to walk away a little richer. On the flip side though, the Achievement Awards adds a layer of fun and serves to make the slots a little more lucrative. Though this will also depend on the bonuses the individual operators offer.